Some of us can cope with a move easily and with minimal stress while even the thought of moving causes overwhelming anxiety to the majority of people. If you have a plan and put it into effect beginning approximately two months prior to moving date, we cannot promise you the move will be fun but it will help ease the stress and make it go smoother for the whole family. With that in mind, we are providing you with a checklist and feel it will be useful to help you cope. If you are flying to your new home, book the flight as far in advance as possible and try to get a direct flight. If you will be driving, estimate how many miles per day you will cover and make motel reservations in advance so that you will not have to find appropriate accommodations at the last minute. If you have pets, make arrangements to keep them out of the way of the movers so that they will not be underfoot – and more importantly, with doors open for a long period of time that they do not run away. Each family member should have a bag packed containing their personal necessities which will be needed on the first day in your new home. These include medications, tooth brush, sleep wear and a comfortable change of clothing. And if you have children, be sure to include a favorite toy or game. If you will be using a professional moving service, obtain estimates from at least three of them and finalize arrangements for your move. Get a referral from friends if possible. We needed a cross-country mover, used the same one as did a friend and had a relatively problem-free move. Start removing unnecessary objects from basement, attic and/or storage room. Make arrangements for transferring school records. Keep all paperwork related to moving in a file. Get copies of medical records for all family members and obtain referrals for doctors in your new area, if possible. Fill out post office change of address cards. Begin using up food and cleaning supplies that you will not be able to take in the move. Get packing boxes and begin packing items you will not need until you arrive at your new home. Clearly print on the carton in which room it belongs and assign a number to each box. Make a master list of the numbered cartons and the contents. If you have pets, arrange for special transportation if necessary. Be sure to make arrangements for disconnection of utilities at your old home and connections at your new home. Disconnection at your old home should be scheduled for the day after your move and at the new home on the day before you move in. Transfer prescriptions to your new pharmacy. Inform creditors of your new address. Have car(s) serviced in preparation for the move. Bank accounts should be transferred. 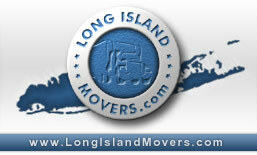 Be sure to have sufficient cash to pay movers – unless other arrangements have been made. Travel reservations should be confirmed. Carefully check cartons against your master list to be sure all your property is unloaded from the moving van. If any items are damaged, make a notation and advise the movers. Before you make any attempt at unpacking, have a relaxing meal at a local restaurant. You deserve it!